Delta Dental is one of the leading insurance providers in the US, offering benefits for 68 million people and 120,000 groups. They also have the largest number of in-network dentists in the country. If you have coverage through Delta Dental, the Young Family & Cosmetic Dentistry team is here to help you make the most of your benefit plan. We offer high quality, affordable dentistry services to help our patients keep their smiles whole and healthy without blowing their budgets. If you’re ready to find out more, call our knowledgeable Joplin dental team today. We’ll be happy to answer any questions you may have about your Delta Dental policy and schedule an appointment for you to visit our state-of-the-art dentistry practice. 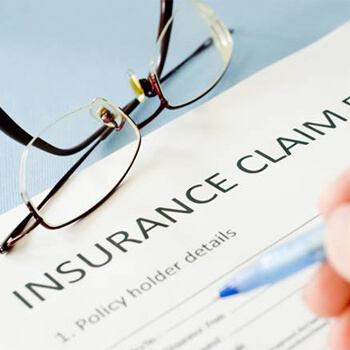 Our team of dental insurance experts looks forward to helping you maximize benefits and minimize out of pocket treatment costs. Every Delta Dental plan is unique to the individual, and your specific dental insurance coverage is determined by elections you make and those that are made by your employer if you have group insurance. Delta Dental insurance focuses on coverage for preventive care to help patients keep their smiles whole and healthy. Most Delta Dental policies provide 100% coverage for the cost of preventive dentistry services like regular dental exams and teeth cleanings. 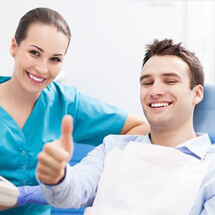 Minor restorative dentistry services like tooth-colored fillings typically receive 70 to 80% coverage. More advanced restorations like crowns and dentures are typically covered 50 to 70%. Other treatments like orthodontics or oral appliances are often covered as well, but we’ll need to review your specific policy before we can provide an accurate price estimate. While Delta Dental plans don’t limit patients to only receiving coverage for treatment at in-network practices, there are numerous benefits to visiting these in-network offices. The most obvious benefit of visiting our in-network office is that we already have an established relationship with Delta Dental. We have experience with their policies, and we have agreed to charge fees as outlined by Delta Dental to ensure you have the lowest out of pocket costs. If you ever need help with your Delta Dental benefit plan, Lori, our resident dental insurance expert, is here for you. She has been a member of our team for years, and Lori has a lot of experience working with Delta Dental plans to make the most of your dental insurance coverage. Lori is passionate about helping patients get the care they need within their budgets and without any added stress of dealing with the dental insurance claim forms.